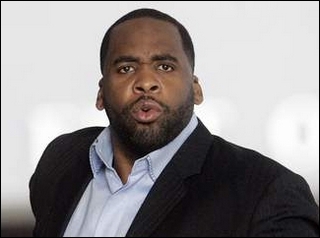 Who would have imagined that Kwame Kilpatrick’s mother would ever be summoned before a federal grand jury? Why are you all raising your hands? This woman combines the legislative skill of Lyndon Baines Johnson with the oratory of Demosthenes…. Oh. Nevermind. Monica Conyers will be changing her residence soon. For about 37 months, it seems. Truly, this is a great loss for Michigan’s largest city. Via Ace. Oh Great. April in the D. Wonderful.